What a better way to push into the rest of the week with an article stating the top 5 reasons you’re not making money with your blog. I know we are all trying to at minimum cover the costs of our websites. This can be associated hosting, design, marketing and other costs that come with owning and maintaining our blogs. Let’s face it were not all John Chows and Darren Rowse’s and were not making close to what these guys are claiming to generate as incomes on their blogs. One thing I can promise however is to help you figure out why you’re not making money with your blog and suggest ways you can fix this. Let’s face the facts about making money online. In order to generate high income we need traffic everyone. The more traffic your blog has the more money you’re going to make. What we need to look at is how we can increase your blog traffic and in return increase our overall earnings from your blog. 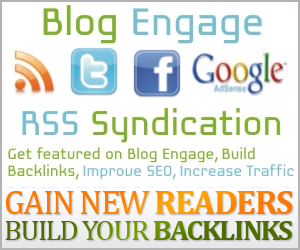 Increasing the amount of visitors you get to your blog will also increase your over all earnings you generate. You must increase that blog traffic. So start marketing your little heart out and try to get that traffic up. Seriously this is the number one key to making good money from blogging. Placing your ads is more important then you could ever imagine. I know it sounds odd but having your add in the face of your visitor is so important. How else are you going to grab their attention. Above topic titles, headers and top sidebar locations are the key to increasing the income earned from your blog. I know many of you already do this but perhaps some people don’t. You have to optimize your website for Search Engines. This will not only increase your traffic but increase your overall earnings and CTR (Click through Ratio). When visitors land on your blog from a Search Engine Google is smart enough to target ads specific to their search terms and your page’s content. Similar to the first reason you’re blog wasn’t making money Marketing and Promotion is very important. This is more specific to your marketing activities as opposed to where you want to market. You must get out and market your blog. Submitting your articles to sites like blog engage, digg, reddit, or any other community that brings in traffic is so important. I also suggest offline marketing. If you can buy t-shirts, car stickers or business cards just do it. Every little effort you make to market and promote yourself will increase your overall income generated from your blog. Take a look at your blog and examine your current ad placements. Perhaps the reason you’re not making money is because the blog is just too busy. You have to bring attention to your ad placement. When you have to much going on people simply dismiss the ad read the content and leave your site. So go look at your blog and ask yourself; if I was to visit this site would I see that ad or would I be too distracted? If you think you might be distracted even for one second I’m guessing it’s a 100 percent chance your guest or visitor will be also. Take out some of your ads and try to focus more on your main ad placement. Have any other advice or suggestions let us know by commenting below.